We are a team of professional web designers with 15 years of experience in web development, web design, and project management. This website profiles the work we have performed for existing websites as well as newly designed websites, created to be user-friendly and consistent with search engines like Google and Yahoo. We can provide everything you need for optimal website management, including domain registration, hosting, web design and development, branding, proofreading, and marketing. MD Visions Designer does more than just design attractive websites – we build sites that benefit our clients. We’ll take care of the marketing and search engine optimization, because a website with good design and no marketing is like not having a website at all. 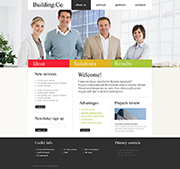 From start to finish, we do web design with the customer in mind. SEO is a set of techniques for targeting relevant website traffic on search engines. In the same way that conventional retailers jostle for the most prominent positions on the high street, online businesses compete for the top spots in natural or ‘organic’ search engine rankings. Web content management (WCM) systems (also known as CMS) are used to design, implement and administer digital content on the web. Most are bundled software packages that deliver a platform for developers to build and customize web templates and institute a publishing workflow. Users can then design webpages, create and distribute copy and media, and manage the site. There are both open source and pay services in this space. Open source programs are free and maintained by their user communities. CMS companies license their own product and offer cloud services, enhanced security and customer support. Both often rely on a library of site frameworks (usually called themes) and extensions that add different functionality (named variously depending on the platform: modules, plugins, widgets, etc.). Copyright © MD VISIONS 2000 - 2016. Sva prava zadržana.